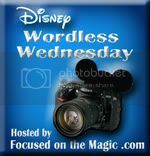 Plus the Magic: Wordless Wednesday: Action! That's cheating and yet perfect! Perfect action shot! Very clever! !